We are the most trusted local and long distance moving company in Brooklyn. Headquartered in Brooklyn, NY, our courteous movers will expertly pack you in one day and move you on another day for long distance moves within 500 miles of NYC. However, depending on the size of the move, how well prepared you are and the distance you are travelling, we can also complete the move in one day. Some larger moves will take more than two days. Because we love both NYC and going to new places, we don’t outsource any part of our long distance move operations within 500 miles of NYC. The same team that packs you for the move will be there with you in the end to unpack. For moves down the I-95 Corridor to South Carolina, Georgia and Florida; and across the I-40 & I-80 Corridors to points West, we have nurtured strategic partnerships with private carriers. We pack and load in NYC and they deliver with the same care and attention to detail you have come to expect from JP Urban Moving. And our outstanding friendly customer service will see you from door to door. What happens the day before the move? As with local moves, the day before your move, you’ll receive a text confirmation from dispatch. In the hour leading up to the move, dispatch will send a group text linking you, the driver and the foreman via which you can all communicate during the course of the move. What happens on day one of the move? Dispatch will text you upon arrival of the crew, and will continue to text throughout the moving process to make sure everything is going well and to smooth out any wrinkles. After the crew has arrived and parked the truck, the foreman will come to your apartment/home to complete the paperwork, which is essentially comprised of clocking in and confirming your valuation choice. Next, the crew will prep the building as necessary, checking for pre-existing damage to the building, the apartment and your belongings. After getting supplies from truck, we will pack, disassemble and wrap as required before loading boxes, then furniture, onto the truck. Just before departing for overnight storage at Extra Space, we will check to ensure that everything to be moved has been loaded, and there is no damage. What happens on day two? Bright and early, the truck will depart Brooklyn. At the new location, we will prep the building as necessary, while checking for pre-existing damages. After unloading furniture and boxes, we will unwrap furniture and re-assemble, position and unpack as required. Lastly, we will clean up and ask you to check the truck to ensure that everything has been unloaded before settling up and heading back to Brooklyn. Are you planning a long distance relocation? If so, be prepared for a lot of work. Because if you’re getting ready for a long distance move, you’re in for quite an ordeal. You’ll have to plan out everything in advance, and there will be a lot of errands to run. But don’t worry, it doesn’t have to be very complicated – so long as you hire some great long distance movers Brooklyn. 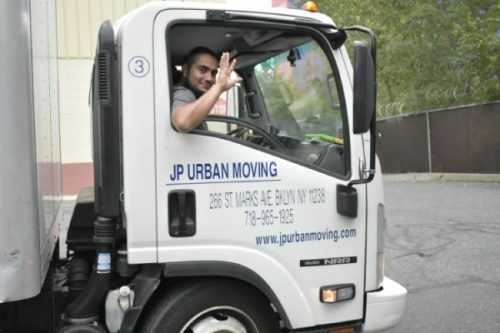 And we’ve got just the crew for the job – right here at JP Urban Moving Brooklyn! So if you want to have an easy relocation – our exceptional services are just a phone call and an estimate away. Planning ahead – If you know about your relocation well in advance, you’ll have the luxury of planning. And this isn’t something you should put off. Even with the best long distance movers Brooklyn, this kind of move can get complicated. Planning will allow you to fix any mistakes on time, and you’ll approach moving day with much less pressure and stress. Downsizing – Once you start looking for moving companies, you’ll realize that movers mostly offer quotes based on weight. So, if you get rid of stuff you don’t need, your long distance move will be much cheaper, to begin with. And this is important because costs can really stack up during a move. Deducting moving costs – Under specific circumstances, moving costs are tax deductible – so relocation may save you tax money if you know what you’re doing. Of course, you may need to consult a financial expert. 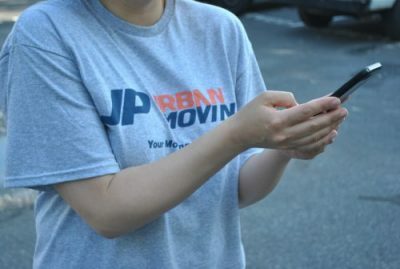 Should you hire JP Urban Moving? While most companies just hire people capable of doing the heavy lifting – here at JP Urban Moving, we’ve got a very different process. When we select and hire our staff, we look for people who understand how this business works. First of all, we hire people with experience, who won’t waste your time with rookie mistakes. And second – we only hire long distance movers Brooklyn that actually care about this job. We strongly believe that being truly motivated is something that no amount of strength or skill can replace. And that’s something we value greatly in all our staff. So, when you’re dealing with JP Urban Moving – you know our services will be provided by a team of highly-skilled professionals. They have everything it takes to be the best in this line of work – and you’ll see that from the first contact you have with our company. So whatever you need when it comes to moving – don’t look any further than JP Urban Moving. We’ll be glad to help! But why is staff motivation so important, you might ask? Well, because it’s the fuel that drives our long distance movers Brooklyn to constant betterment. After all, we didn’t become a household name in the moving industry by doing everything that other companies do. Instead, we continuously look for innovative ways in which we can improve our techniques and methods. Crucially, we look to improve our efficiency, but only provided we don’t compromise any quality. As you can see, we’ve put a lot of thought into how we do our job – and you’ll soon realize that it has more than paid off. 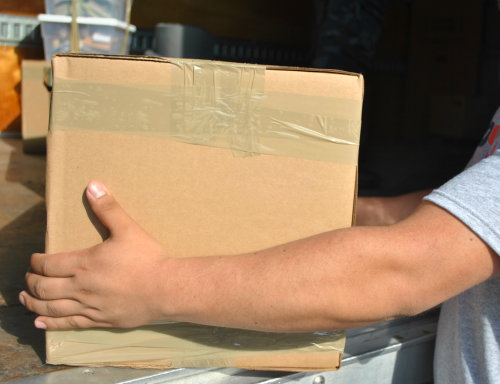 Whether it’s a long distance move or packing fragile items – we’re ready for it! We boast the most punctual and efficient moving work in Brooklyn and New York – so don’t hesitate to contact us if you’re relocating! In any sort of competitive business, there is only one way to be constantly better than others – knowledge and understanding. After all, everyone’s trucks in this industry can only hold so many things and only go so fast. Realizing this, we’ve sought after other avenues to improve and be better than the competition. And one of the things we found is – creating lasting relationships matters. We don’t view our customers as a one-stop shop to turn a profit. On the contrary – we view them as friends that are in need of assistance. And assisting during relocation is what we’re all about, here at JP Urban Moving! From the first call or email to the last piece of furniture we unload – we put great care into every step of the way. If you need help, advice, or packing supplies – we’ll be there to help. And the results speak for themselves, via many satisfied customers! Lastly, you’ll find that our long distance movers Brooklyn offer some of the most reasonably-priced services on the market. We don’t believe in making a profit if our customers are overpaying for anything. Why? Because, just like our most complicated relocations: we’re in this for the long haul. We’re building a brand based on mutual trust between our customers and us. That’s why you’ll find affordable prices and transparent billing, here at JP Urban Moving. So don’t wait another minute – give us a call! And we’ll take over everything from there. We are responsive to online estimate requests, during which questions are answered timely. Once a job is booked, you decide what level of valuation is appropriate for the move, after which all building issues are addressed, including issuance of Certificates of Insurance (COIs), deadlines, elevator windows, floor protection requirements, etc. Finally, the move is put on our schedule. Used JP Urban Moving to move from NYC to Philadelphia. Sal and crew were very professional and extremely careful with my belongings. The dispatcher was in constant communication and made the process very easy. I would recommend JP Urban Moving to any that is move across the street or to a different state. Great job guys!! They moved me from a one bedroom in NY to a two bed in DC. From start to finish they were great. They were easy to communicate with and gave good quotes. It was easy to talk to them about details of the move. I've never felt like I've had an easy move before. These guys are great. Hire them. Seriously - stop looking for other companies and just hire these guys right now. I was somewhat skeptical about all the 5 star reviews, but these guys more than earn it! We had a move from New Haven, CT to Ridgewood and they arrived on the dot at 8:30 AM. They brought two trucks and six men and finished up at 11:30PM with 9 men unloading and unwrapping with never a lack of cheerfulness and concern. I heartily recommend them! These guys are amazing! I went with them on recommendation of a friend for my move from NYC to PA. From first contact with Chris for estimate and scheduling, to the last box being delivered, I have nothing but great things to say. They were on time, very professional and friendly, hard working, fast working, efficient. Mine was a complicated move, but they handled it beautifully. They took better care of my belongings than I do! I strongly recommend these guys -- they are the best there is.